Builder and Developer is an 18-year-old business management magazine in print and online, serving professional homebuilders throughout the western U.S. and the Sun Belt states. The magazine's journalists and contributing editors provide original content on a wide range of topical industry news, issues, events, and happenings in addition to showcasing fine examples of homebuilding for single-family, multifamily, high rise, luxury and affordable new home construction. Connect Magazine is a monthly general business publication in Utah focusing on local business news, analysis, trends and topics to help its readers be more productive at work. Medico de Familia launched as a joint venture between the Interamerican College of Physicians and Surgeons (ICPS) and Parlante Inc. This publication offers health content that focuses on specific Hispanic health concerns. BostonNOW is a free Boston daily newspaper that incorporates both traditional and citizen journalism. Verified conducted a survey of media planners and buyers to ascertain the criteria that they use to plan and purchase media. One of the key findings was that third-party metrics was overwhelmingly preferred by media planners when making their selections in both print and online media buys. As more pressure is placed on media planners to provide return on investment, they reported that they needed tools to justify their buys. As the publishing industry evolves, publishers must meet these needs head-on to keep them viable media purchasing choices. Our respondents purchased more media in print (92.3%) than in any other category with online as a close second (78.5%). They purchased media in both paid publications (90.8%) and free publications (78.4%). For online purchases, 72.3% purchased ads in audited websites versus 46.2% in unaudited websites. In addition, they consistently placed a high value on audited circulation and stated that the most important sources of information that they use to plan and purchase media were the publisher's media kits and publisher's representative. The respondents rated the value of audited circulation as important to very important (84.6%). They placed a high level of importance upon the age of the circulation data as well, reporting that they preferred information provided at least quarterly (64.6%). Though media planners placed a high value on audited circulation, they rated their knowledge and understanding of audited circulation as low. Although media planners believed they were getting nearly all the information needed to make informed media buys in print media (90.8%), only 38.7% felt they were getting enough for online buys. Direct-to-consumer/alternative print media faired almost as poorly with only 40.7% of media planners saying they were getting enough information. "Ratings/measurement data for online and alternative media"
"Savvy web reps who have the clients' bet interest in mind"
"Make it mandatory for publications to subscribe to a service, whatever company it may be, so that all the media is on the same playing field"
"[Publishers need to] be more truthful about net circulation figures"
"Force publications to give data that is apples to apples instead of apples to oranges"
"No controlled measuring system for alternative or online media [as with radio and TV]"
Media planners rated important to very important the following when creating a media plan: target audience (demographics) 96.9%, budget 89.2%, timing (editorial calendar) 59.4%, geographics 71.8% and easy to work with, knowledgeable sales reps 43.1%. When making their buying decisions, readers per copy (audience), reader demographics, reader spending and other reader measurements were clearly the most important to media planners. Sent via email. Printed audit reports and a disk sent on a regular basis ranked the least favored way to receive the information. "Client demands for results have increased"
"[There are] Smaller, more fragmented budgets"
" I need real info—not spun to benefit the media vendor"
"[The] Lack of accurate data with alternative media and web measurement is not regulated and each media outlet does it's own measurement making it hard to compare one outlet to the next"
"Not knowing everything [that] there is about everything [media] available to my client"
"Being able to educate myself and my clients on new media and opportunities that are coming out almost daily"
"There is no standardized data for all media"
It's clear that media planners are working in increasingly demanding roles and that the best way to help them, and hence increase your advertising sales, is to provide third-party verification and a reliable knowledgeable sales force. Accurate, quantifiable information is a key component in influencing these important decision-makers. A recent report by the Association of National Advertisers (ANA) predicts an increasing demand for measurement and accountability in 2008. The ANA foresees companies creating positions for "accountability officers" who will lead strategies to implement better measurement of delivery and results. While 2007 saw the closure of several major national magazines, including Nick Jr. Family Magazine, Child, Life, Jane, and House & Garden, it also saw some noteworthy launches. According to Prof. Samir Husni of the University of Mississippi, (a.k.a. Mr. Magazine), there were some 636 launches in 2007. However Husni says, "We only count magazines that we have physical copies of," so the actual count may be slightly higher. Magazines of all sorts, both general interest and niche, launched in 2007. Some of the most famous include Portfolio, a business magazine by Condé Nast that was designed to be smarter and hipper than other business publications. Jewish Living, a lifestyle magazine for Jews focusing on culture rather than religion, launched in November. We also welcomed Garden & Gun, a regional lifestyle magazine covering the Southern U.S.
Old is new again as there were several notable redesigns in 2007. The most significant was the reinvention of Time, the first major change in 15 years. Rick Stengel, managing editor of Time, said, "We want the whole magazine to be cleaner and clearer to the reader. We want him to know where he is in the magazine at all times." There are now more short news items and directions on how to get to websites. Newspapers got into the act as well trying to expand their brand and find new ways to reach readers. Pursuits is an upscale lifestyle magazine that will be launched in 2008 by the Wall Street Journal. This magazine will be distributed as an insert in the U.S., Europe and Asia editions. Page Six is a glossy magazine published by the New York Post and is filled with additional gossip. FOLIO: magazine recently asked some media experts for their predictions for magazines in 2008. While the responses varied widely—sometimes optimistic, sometimes gloomy, sometimes droll and sometimes uncertain—Mr. Husni said, "Only two people can tell you the future: God and a fool. Since I know I am not God, I am not going to make a fool of myself." But he went on to say that the magazine business will still be around for another year and that more will start than end. According to the Selig Center for Economic Growth, Asian Americans represented $253 billion in spending power in 2001, and this number is projected to reach $528 billion by 2009. While Hispanics make up the largest minority in the U.S., there are 13.5 million Asian Americans (residents who say they are Asian or Asian in combination with one or more other races) according to the most recent U.S. Census Bureau findings. This group comprises 5% of the total U.S. population. There is also a sizeable proportion of Asian Americans who are business owners and entrepreneurs. 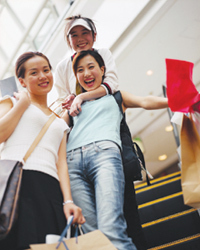 Rather than an afterthought, Asian Americans should be of special interest to marketers. While Los Angeles, New York and San Francisco have the highest Asian populations, other cities are increasingly becoming urban hubs. 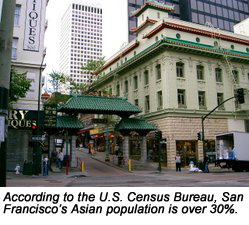 According to a 2005 report titled "Asian Americans in the U.S." written by Dr. Robert Brown and Ms. Ruth Washton for Package Facts, specific goods and services, including computers and Internet services, home electronics, and automobiles are more likely to be owned by Asian Americans than other ethnic groups. A study by Ethnic Media in America conducted by Bendixen & Associates in partnership with the Center for American Progress Leadership Conference on Civil Rights in Education Fund revealed that Asian-American newspapers reach a substantial percentage of adults in the U.S. Approximately 80 percent of all Korean, Chinese and Vietnamese adults read an ethnic newspaper on a regular basis. This reach extends to other media outlets, including television and the Internet. Ethnic media can play a powerful role as part of a marketer's overall media mix. One of their chief advantages is cost efficiency. In addition to their unique connection with the community, ethnic media typically can't charge the same ad rates as mainstream media of a similar size. One estimate is that less than 4% of ad dollars go to ethnic media. Saul Gitlin, EVP of strategic services at Kang and Lee Advertising, is one of the leading experts on marketing to Asian Americans. "I think planners and buyers need to know that this is a very rich media environment. They may not be aware of them personally, but the media is there." He tells potential advertisers that Asian-American marketing is cost effective and essential to a complete ad campaign. There are currently significant changes taking place in the advertising marketplace. Audiences are moving away from big media and adopting more niche media instead. The entrenched model of advertising has been leveraging the economies of scale—the more people an advertiser reaches with his message, the greater the opportunity to make a sale. In an interview with Ad Age, media guru Rishad Tobaccowala said the new model must be outcome, engagement and effectiveness instead. Surveys show that ethnic media connects with ethnic consumers along three important variables: reach, use and trust. For a variety of reasons, the Asian media is difficult to measure as a group. Not only does "Asian" not speak of a single culture or nationality, it also doesn't define a particular language. Even within Asian nationalities, there are language differences that make it difficult to group. China alone has seven distinct dialects. Media buyers with no experience in ethnic communities often find that their efforts fail to perform well, leaving them with the conclusion that these communities may not be worth pursuing. In addition, many marketers fear their pitches might unwittingly offend people from other cultures. Brian M. Heiss, Senior Vice President & Managing Editor of Diversity Spectrum Corporation, said, "There is no handbook out there that says, 'This is how you market to Asian Americans.'" According to Heiss, "If you do it with thoughtfulness and understanding, you may be successful." For marketers trying to reach the Asian-American community the obstacles may be cultural, not language. According to the U.S. Department of Education, 86% of Asians are literate in English. Ted Fang, publisher of San Francisco-based AsianWeek, an English-language newspaper serving the Asian/Pacific Islander community, says that the one unifying factor for the community is English. Fang says that due to, "the inter-ethnicity of marriage—when a Korean woman marries a Chinese man—the language they speak at home is probably English." A recent study by OMD Worldwide concluded that ad relevancy is more about communicating in kind culturally than speaking in a language. Ethnic media has traditionally encountered indifference from media buyers who, despite studies to the contrary, believe that they can reach the ethnic community through mainstream newspapers and magazines. There is still a lack of awareness from media buyers about the buying power of nonwhites. "The media cartel has run a business based on the Ozzie and Harriet general market," said Jo Muse, chairman of ad agency Muse Cordero Chen & Partners. Some marketers demand proof in advance that their campaigns to reach ethnic audiences will pay off in sales, a standard not applied to other media says Deborah Gray-Young of ad agency E. Morris Communications. The burden of making themselves more appealing to advertisers lay upon ethnic media itself. The ethnic media has traditionally survived on local ads—auto repair shops, grocery stores and restaurants—and classified advertising. Measurement has been perceived as a problem for many ethnic media outlets, preventing them from attracting mainstream ads. In a special marketing forum that addressed the political landscape as related to advertising, Len Fong, principal of The Kobayashi Maru Group, said one of the ways to get past the advertising "gatekeepers" is to create critical mass for ethnic media. "We need to know marketing numbers," Fong said. "We lack the proof of performance—a lot of our media outlets are not even audited. That prevents us from being in consideration. "Asian media leaders need to develop their own research and provide local data about the community and local market to their clients, seeking out third-party validation where possible. In addition, ethnic media must provide detailed demographic information about their readers that large advertisers require." Amee Enriquez, the Executive Editor of Balita, a newspaper for the Filipino community in Southern California, says that they chose to become audited for several reasons. "We wanted to add more credibility to our newspaper. What better way to do so than joining the ranks of other reputable news organizations that underwent the same process? Doing so separates us from others who claim numbers but can't back them up." At this moment, there is a great opportunity for Asian media to increase their participation in the marketplace. Gitlin says, "Some clients will still look at a population below 6% of total and [think] they don't need to address it. But let's look at California. Asians make up 12% of the population in California and more than that in San Francisco. If I start a meeting by asking a potential client if California is important to them, it shows them how profound this audience segment really is." Heidi Gardner, the VP of Diversity and Strategic Programs at American Advertising Federation, stated that ethnic media adoption is a three-stage process. "First you have awareness, then acceptance, then change. 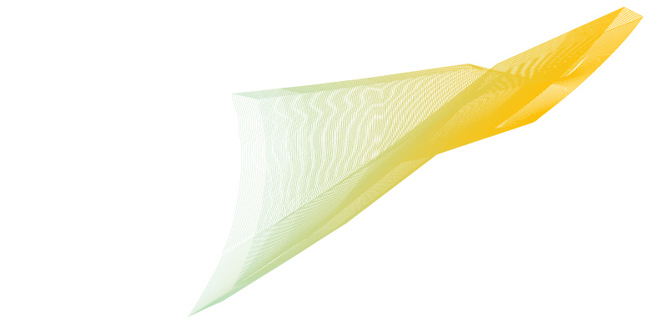 On the whole, the [advertising] industry is somewhere between awareness and acceptance. Yes, it's moving slowly but we're getting there." Alan Levy, Verified's VP of Marketing and Sales, will be attending this event. According to the Executive Summary of a newly released Borrell Associates study on the 2008 outlook for local online advertising, a 48 percent increase in local online ad spending is anticipated in 2008, bringing it to $12.6 billion. Driving most of the growth, says the Summary, is the popularity of local search and online video advertising. Local search advertising will more than double next year to $5 billion while locally placed online video will triple to almost $1.3 billion. A major component of local video advertising will be long-form pieces for home, automotive, and health-related categories. 2008, however, will be challenging for local media companies trying to market on the web. Most yellow pages publishers, cable companies, newspapers, radio stations and TV stations are still pinning their hopes on their traditional sales reps being able sell online ad packages. There is increasing evidence, says the report, to support the idea that a greater investment in an independent online sales force will be necessary to continue the growth these properties have enjoyed for the past few years. The growth rates for most local media operators have slipped well below the overall growth rate for local online ad buys—which means these properties are losing market share. Much of that share is being captured by pure-play Internet companies hungry for the growth they see in the local market, although they are seeing benefits to partnering with local media companies to supplement their own efforts. Key advertising segments for 2008 will continue to be the "Big 3" classified categories of automotive, recruitment and real estate, with online political marketing holding promise for local sites as state and presidential campaigns heat up. Marketing budgets will accelerate their shift out of traditional advertising formats (both online and offline) and into non-ad activities such as promotions and public relations, which are better at delivering the improved targeting and accountability that advertisers are demanding. 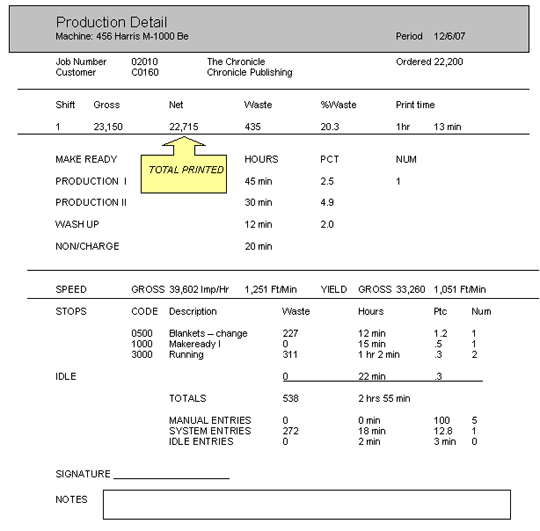 To accurately report Total Printed on the QPD, you will need to use the information on either the printer invoice (contract printer) or a press room report (printed internally). Please report the total printed from your printer's invoice. Overruns should be included in the Total Printed if you receive them. 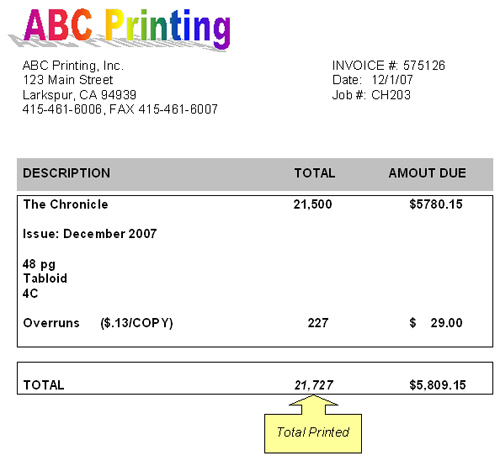 If the printer bills for a set number of copies no matter what is really printed, the total issues actually delivered should be used as the Total Printed and noted on the invoice or documented by a bundle count. Please enter the total number of useable copies (net) printed from the press room report. The press room report should include such information as press start and stop times, counter number, paper usage, run time, waste copies, adjustments, etc. Only report useable copies. Waste copies should not be included in Total Printed. The press room report should be signed and dated by the pressman. Please do not report the number of copies ordered (print order) as Total Printed.